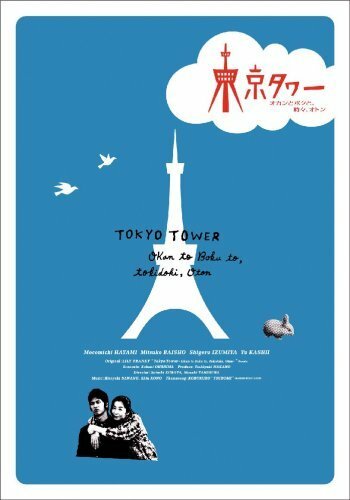 Tokyo Tower--it was the first thing that caught the young man's eyes when he came to Tokyo, the brightly-lit big city. Everything looks big, crowded and chaotic to him who was raised single-handedly by his mother in a rural town. Torn between loves and yarning to be independent, he chooses to live in this city where he's going to experience love, insecurity, desperation, and hope. Based on a bestselling book, this heartwarming drama follows a young man's struggle to find the meaning of life, and the strong bond between him and his mother. This is a real tear-shedder with hearty humor for every generation. sho Jan 30 2014 9:55 am this is a touching story, mother's love is the main theme. But it also show us how to live on our own, to fight, struggle, and survive in the big city. Full of life values. Jenny Mar 21 2010 4:34 am This drama is great! I loved watching it :) It was quite inspirational and touching. The beginning can be a little slow to warm up, but keep watching, cause its definitely worth it!! Its a real tear-jerker though, so just be warned.